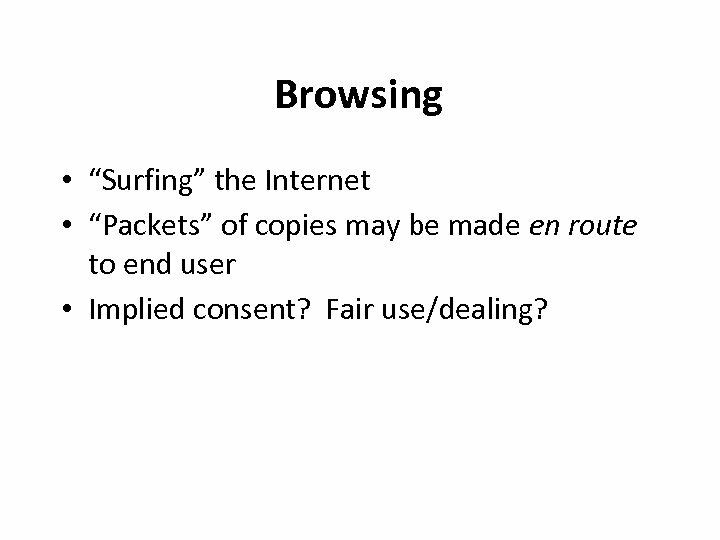 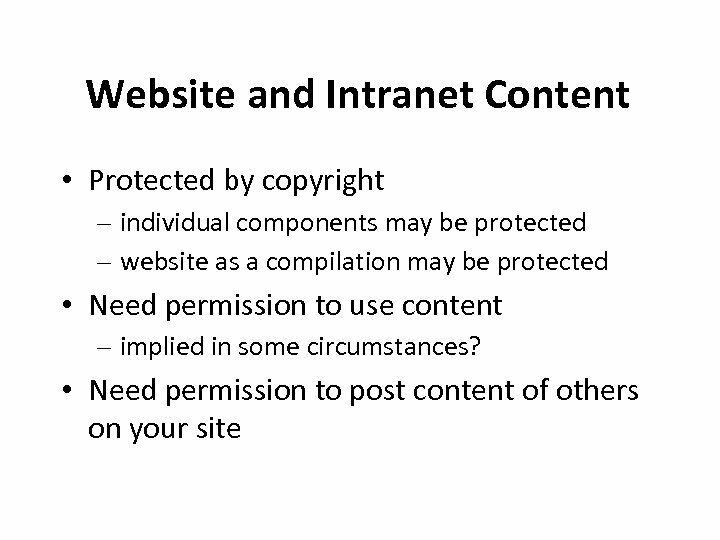 Browsing • “Surfing” the Internet • “Packets” of copies may be made en route to end user • Implied consent? 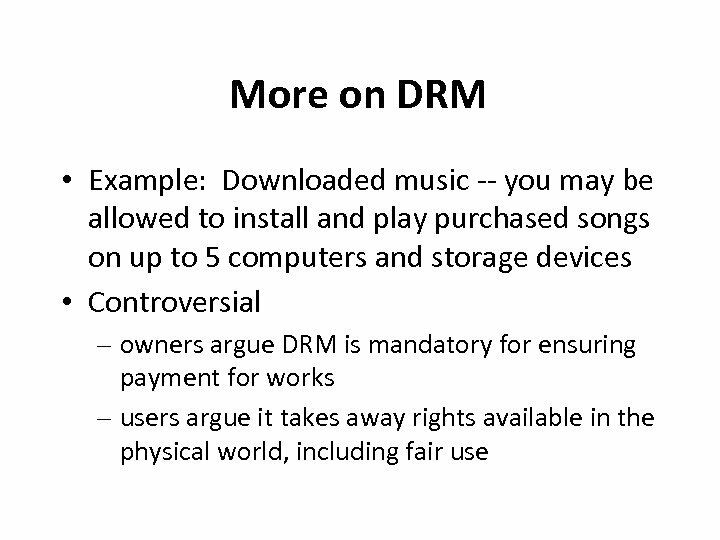 Fair use/dealing? 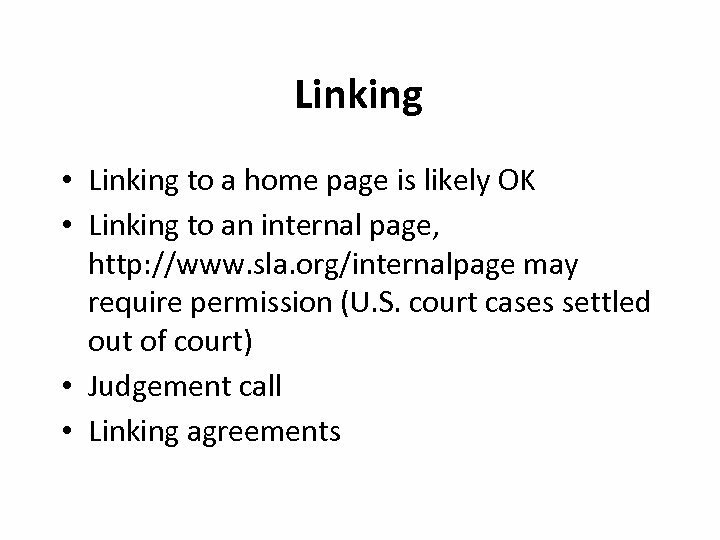 Caching • Saving a web page copy by software to facilitate faster access to that page • Implied consent? 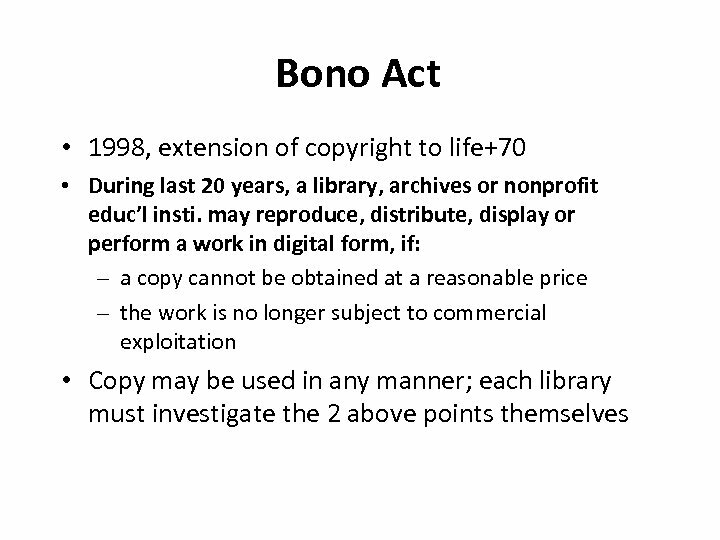 Fair use/dealing? 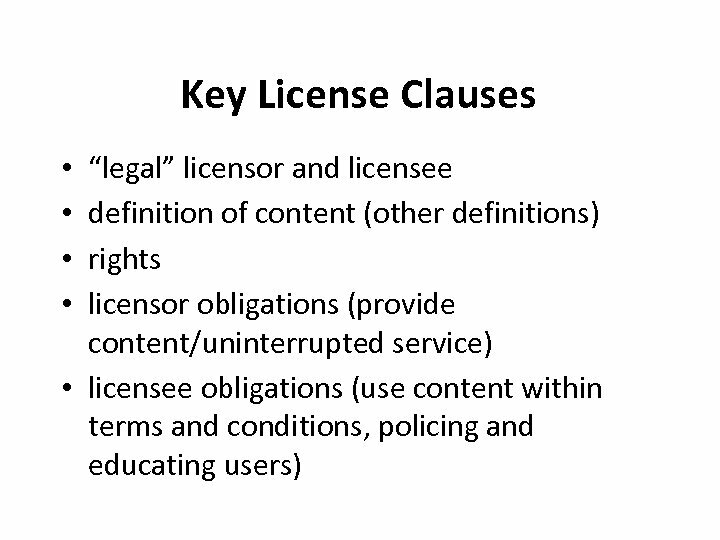 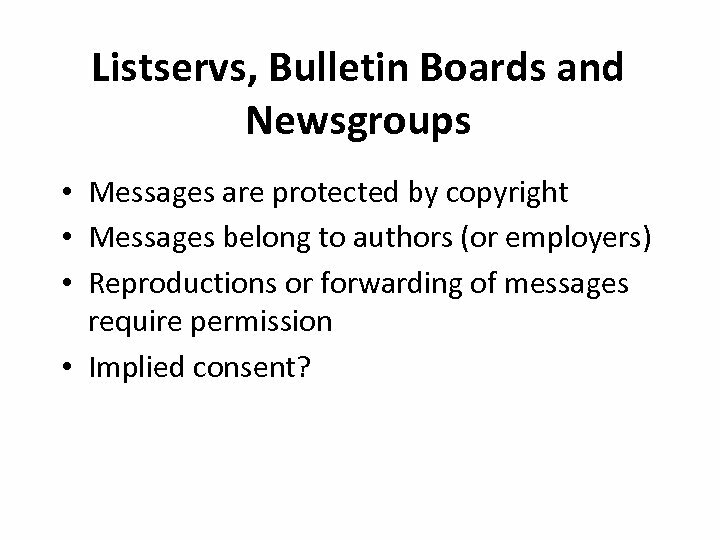 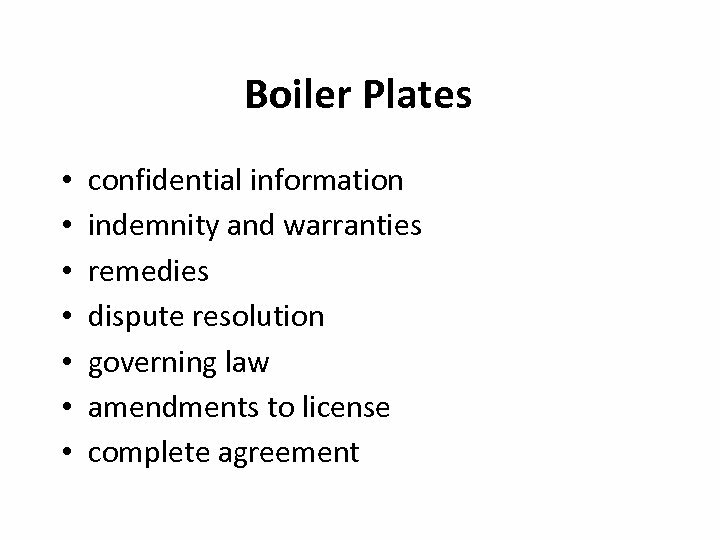 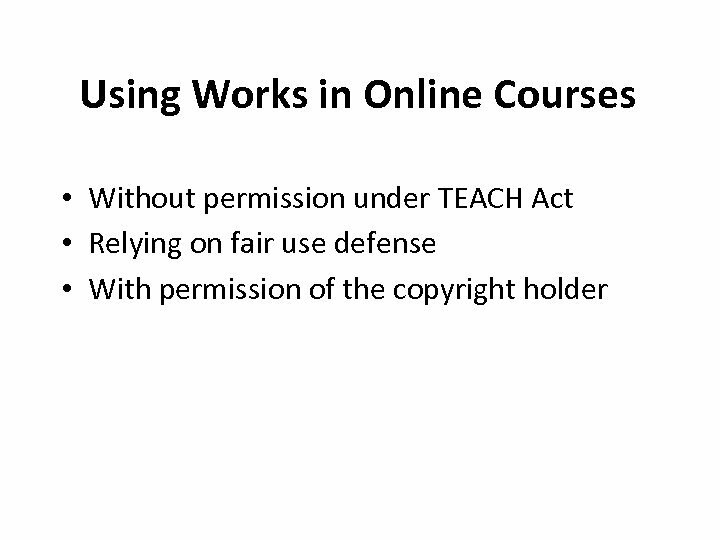 Listservs, Bulletin Boards and Newsgroups • Messages are protected by copyright • Messages belong to authors (or employers) • Reproductions or forwarding of messages require permission • Implied consent? 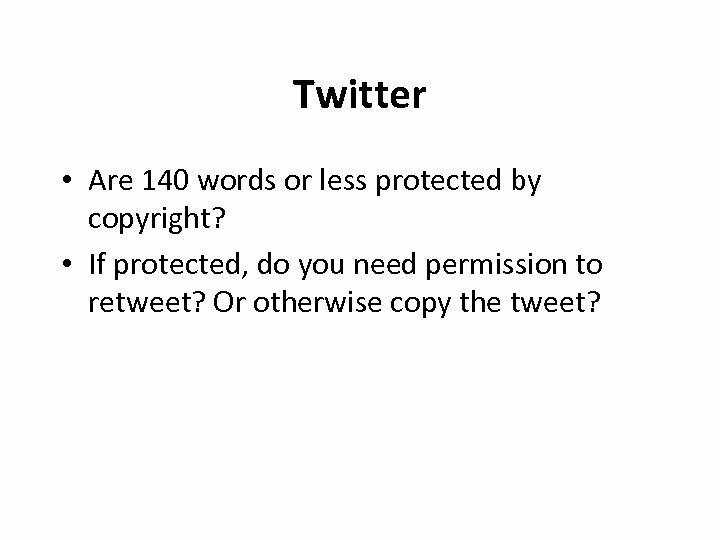 Twitter • Are 140 words or less protected by copyright? 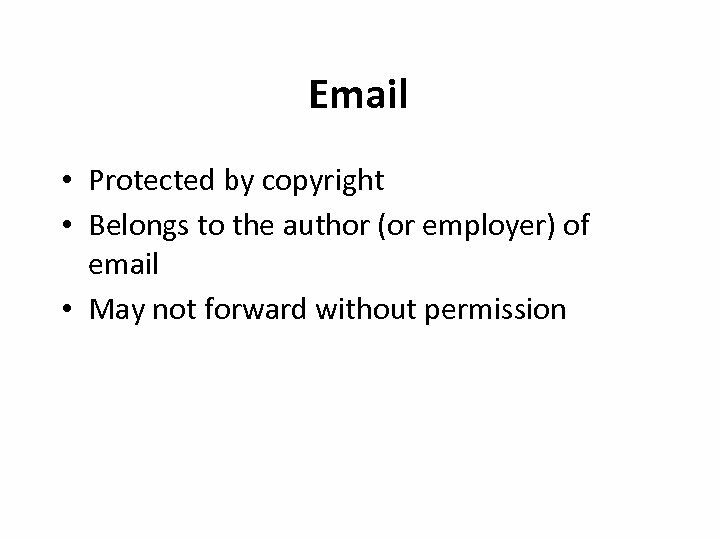 • If protected, do you need permission to retweet? 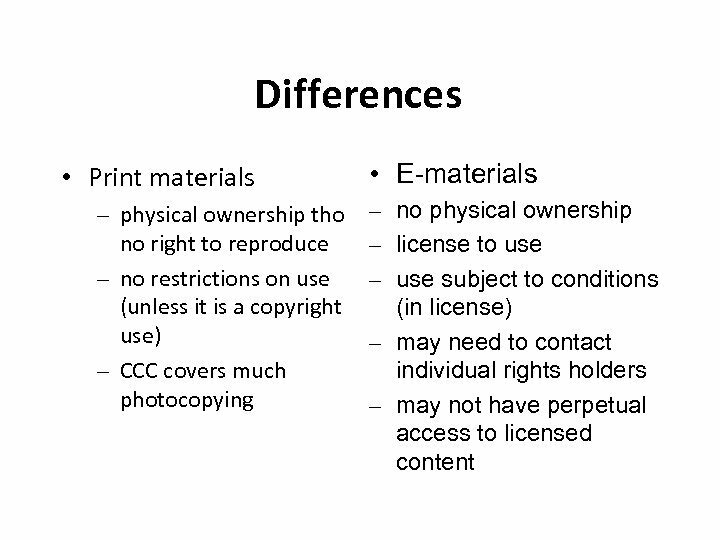 Or otherwise copy the tweet? 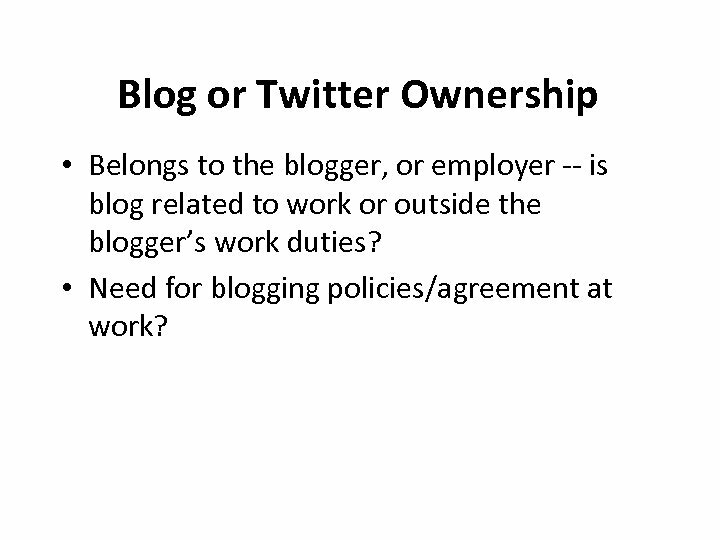 Blog or Twitter Ownership • Belongs to the blogger, or employer -- is blog related to work or outside the blogger’s work duties? 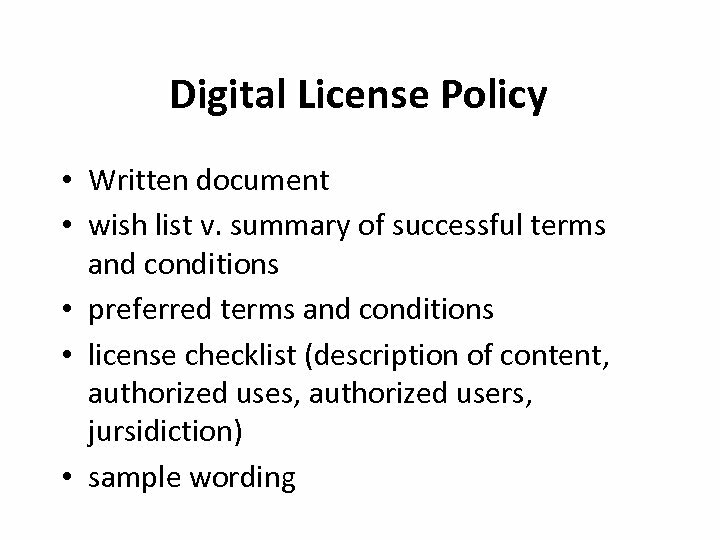 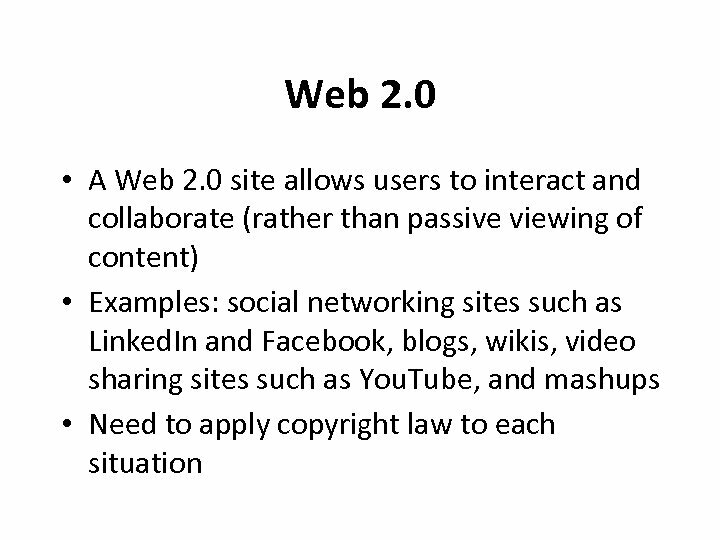 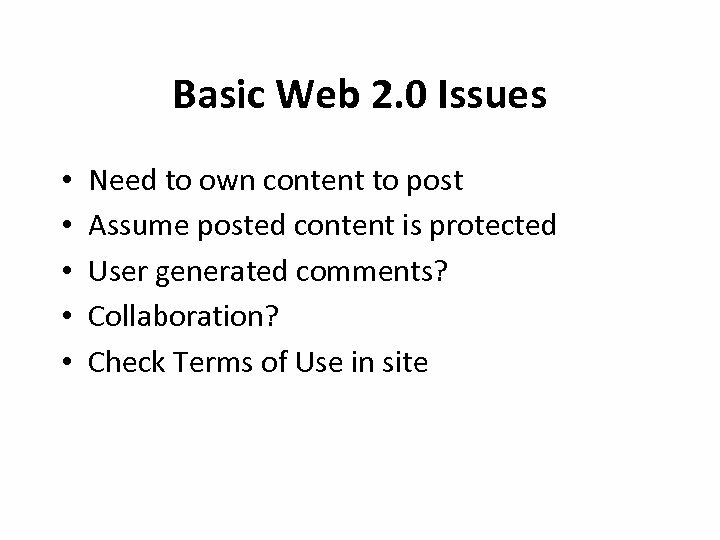 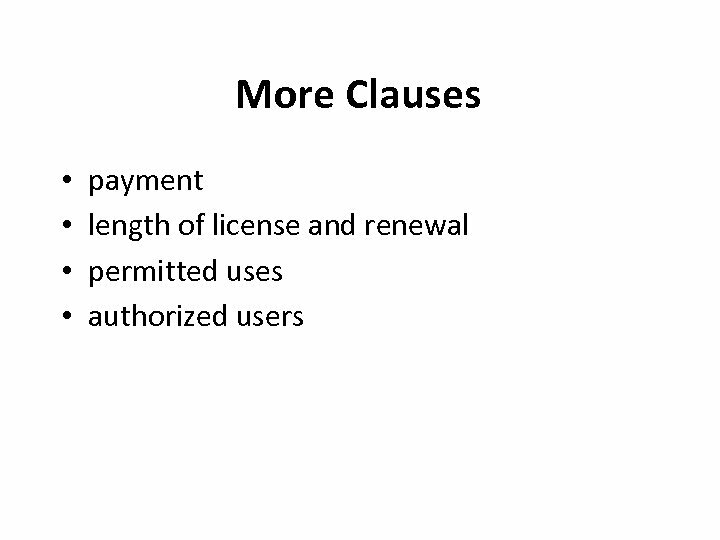 • Need for blogging policies/agreement at work? 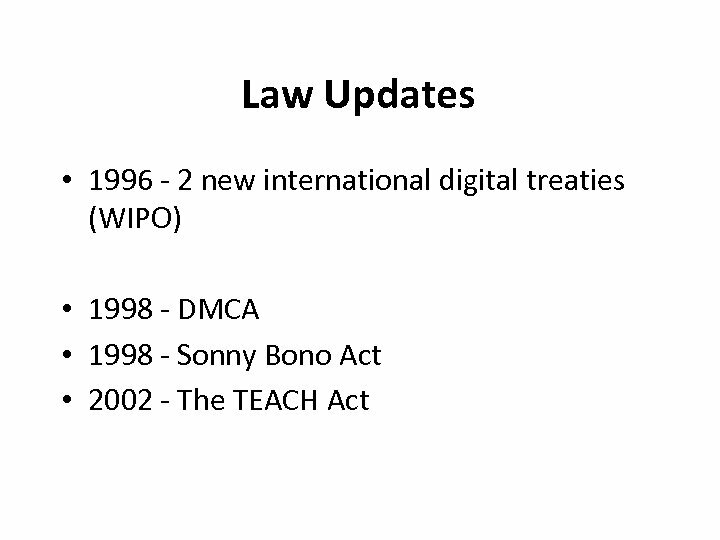 Future of Digital Copyright • Is copyright dead? 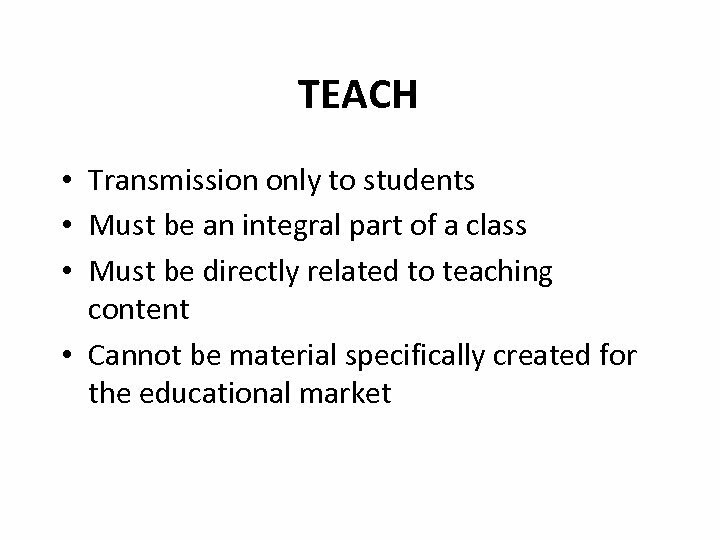 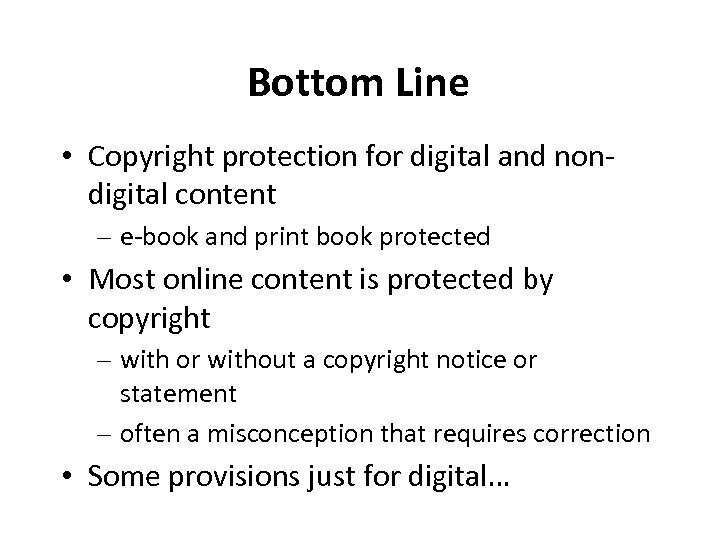 • Is copyright flexible? 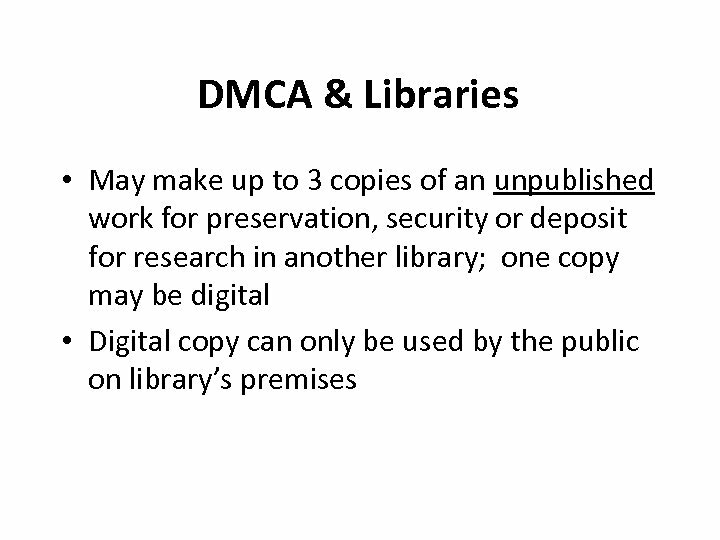 • Does copyright need revision? 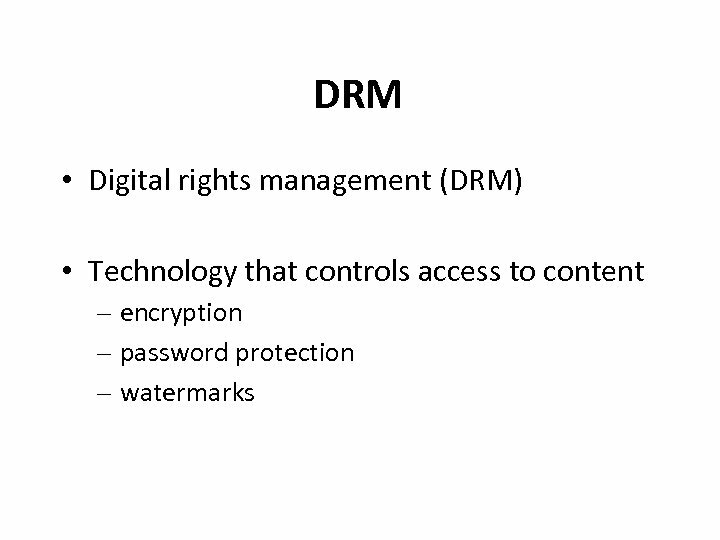 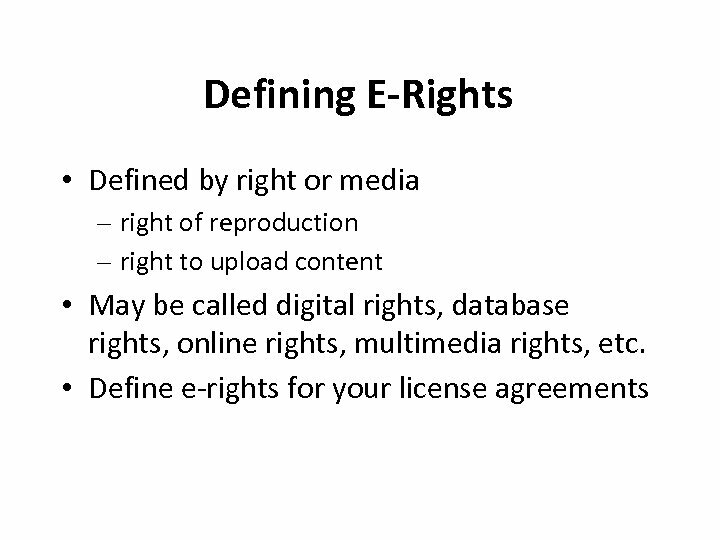 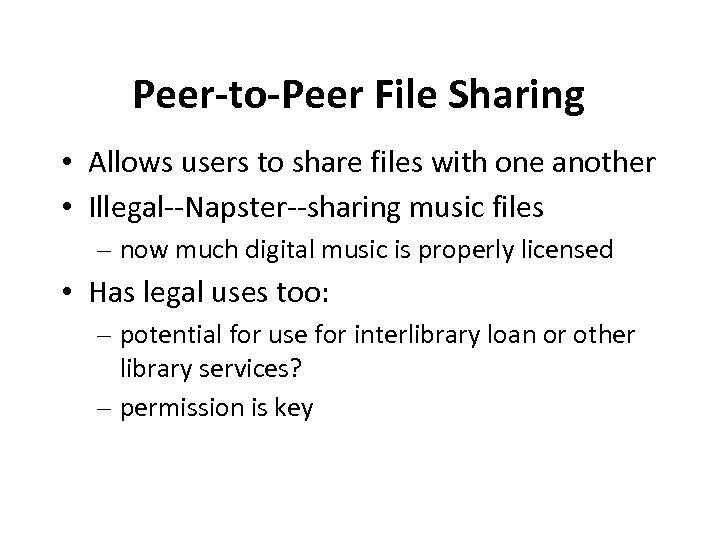 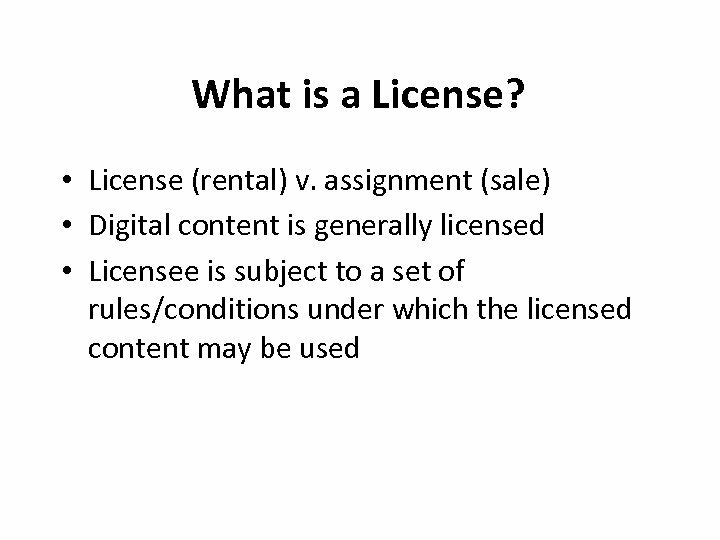 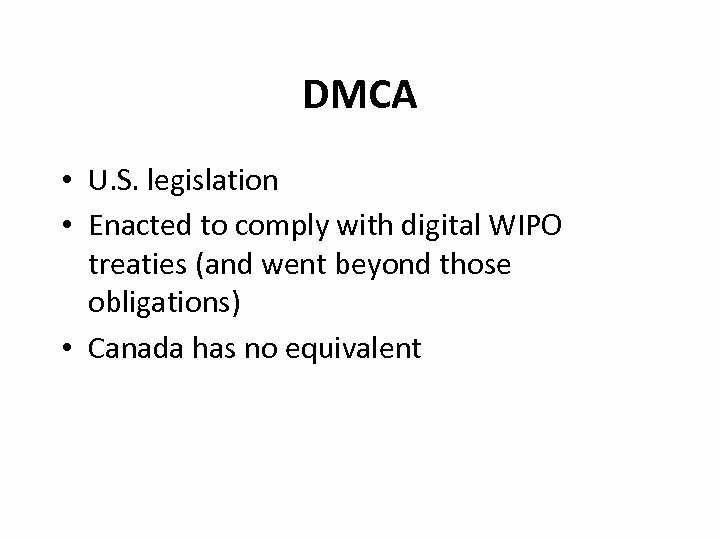 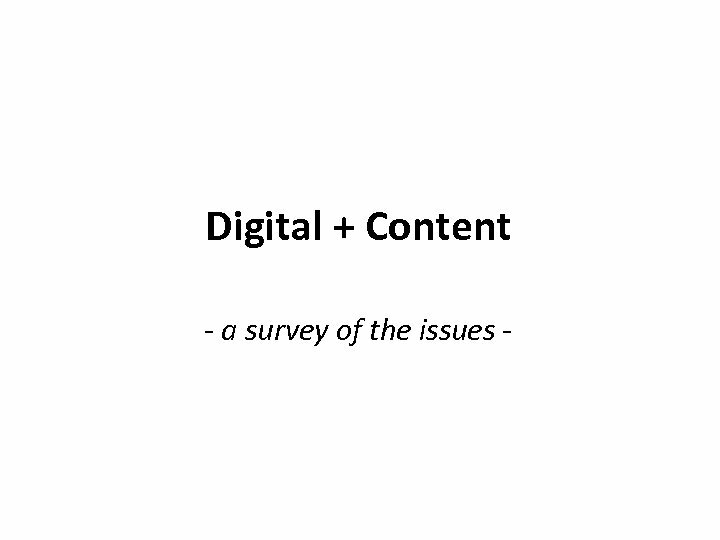 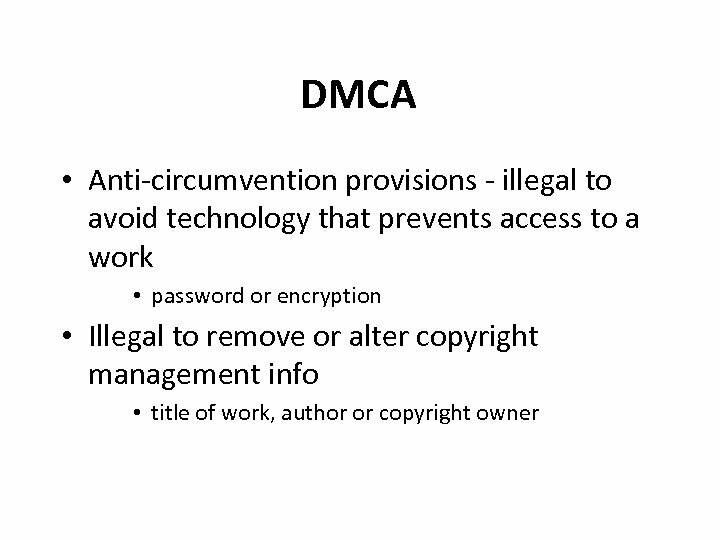 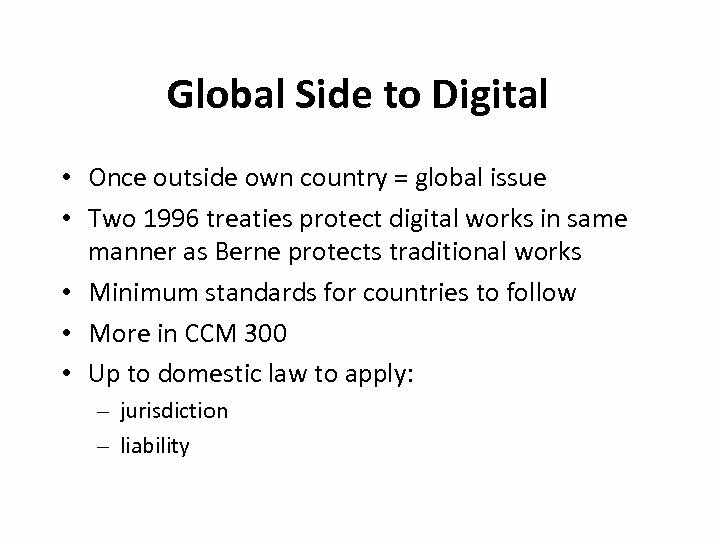 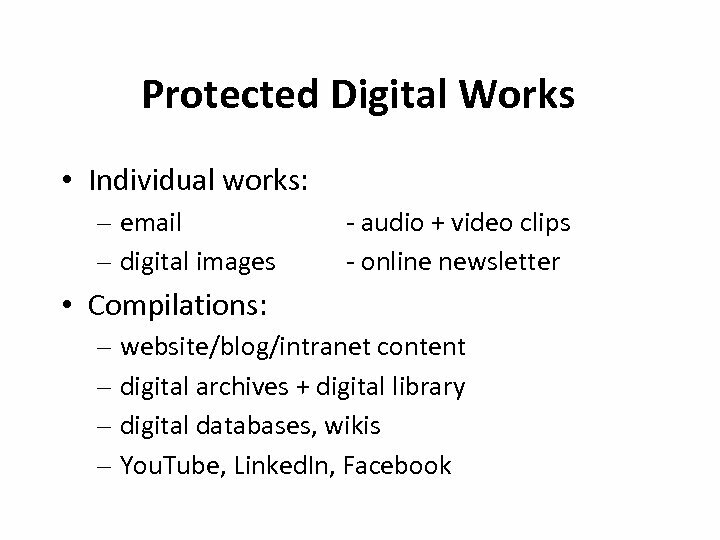 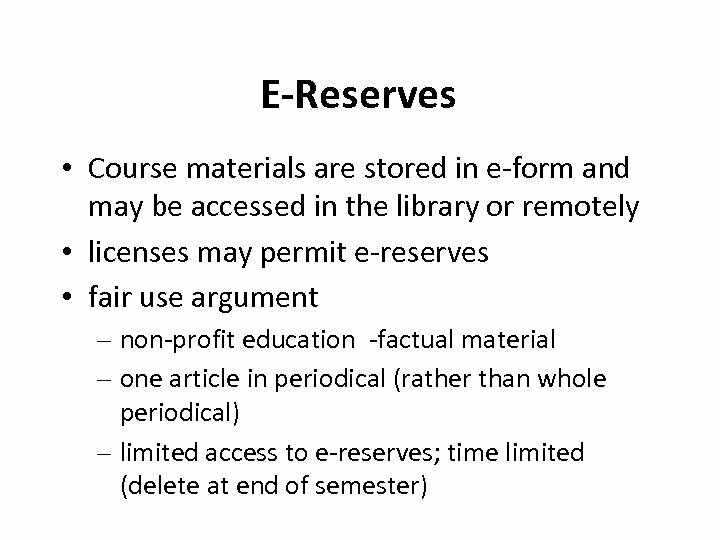 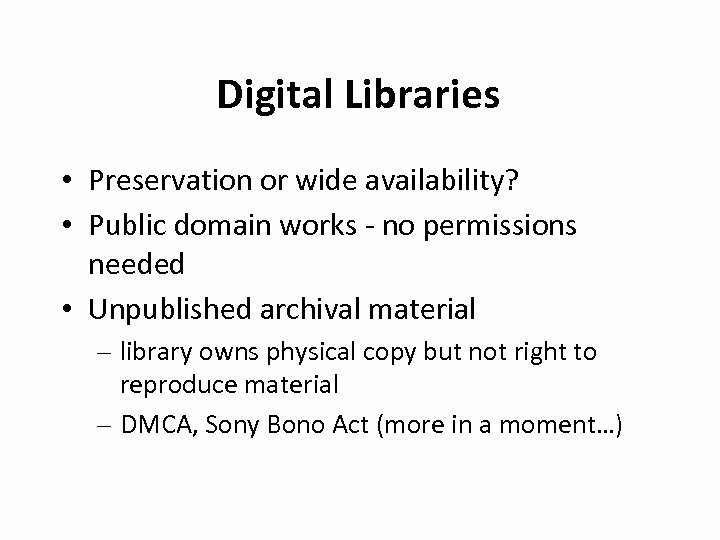 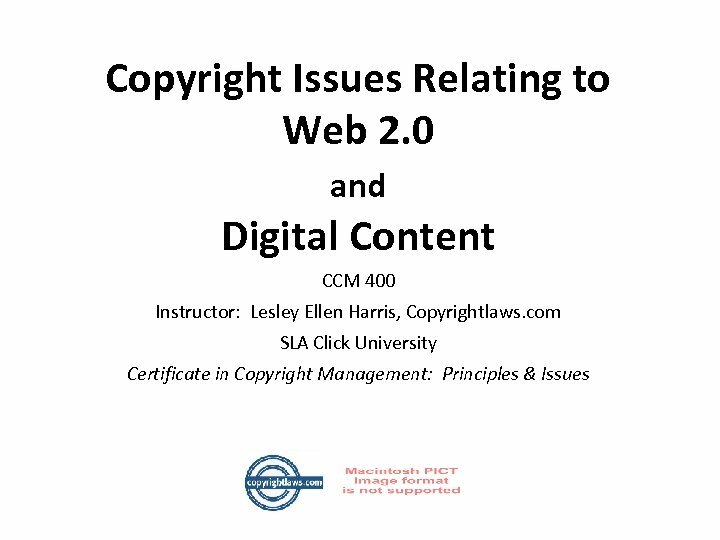 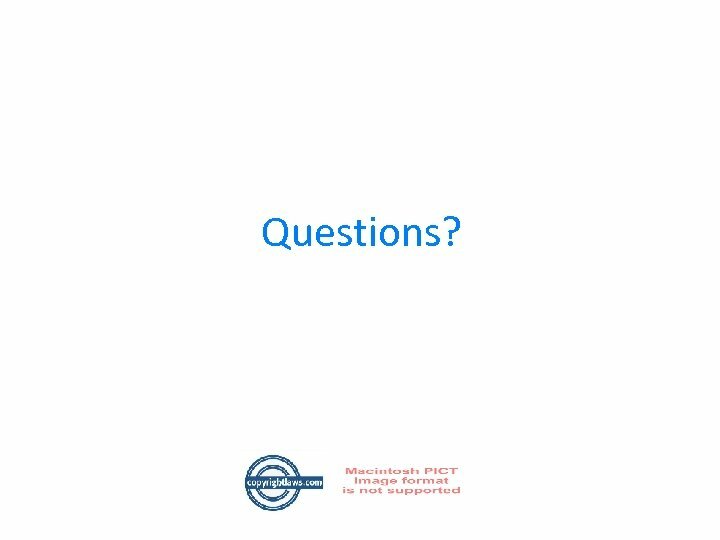 • Does digital copyright present different copyright management issues?